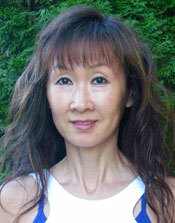 Joanne works as an Exercise and Manual Therapist at Sitka Physio and Wellness. Scolio-Pilates has been a helpful tool in aiding those with scoliosis for both reducing or eliminating discomfort or pain and strengthening into an improved neutral alignment. Her certifications include TRE (Tension and Trauma Releasing Exercises) for liberating deeply held, variant patterns of tension from within. She is a Board Certified Structural Integrator with training in Scoliosis with David Davis, Advanced Myofascial Techniques for Scoliosis 2 with Til Luchau, Nerve and Artery Mobilization 3 with Kirstin Schumaker, Barral’s Visceral Manipulation and Barral’s Listening Techniques.